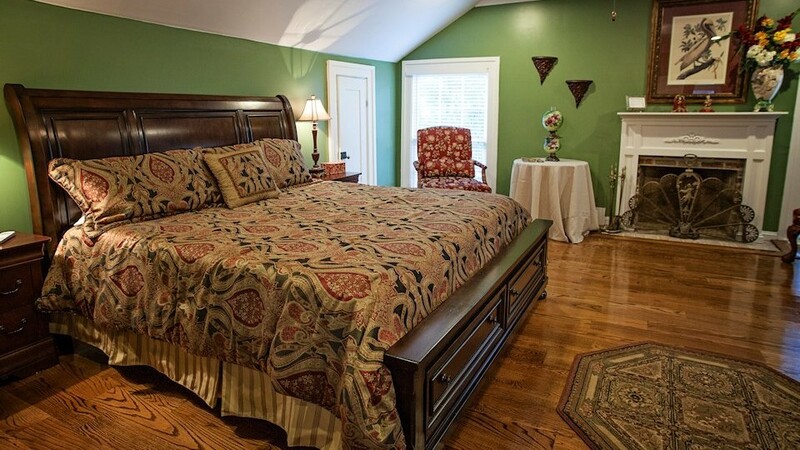 Overview of the guest rooms at the Samuel Guy House Bed and Breakfast. This page contains the featured image and excerpt of each child page under this page. 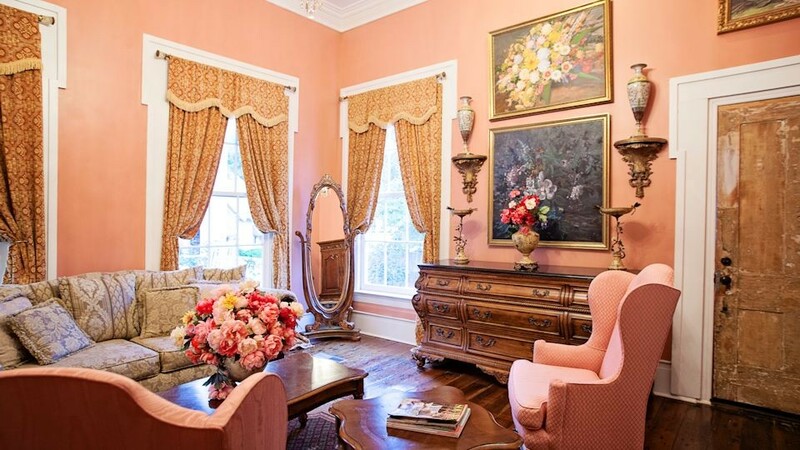 Painted dusty mauve, the ground floor House of Brides suite features pieces by renowned artists, John James Audubon prints, including the Louisiana Heron, Blue Heron, Flamingo, Swan and Will Turkey. 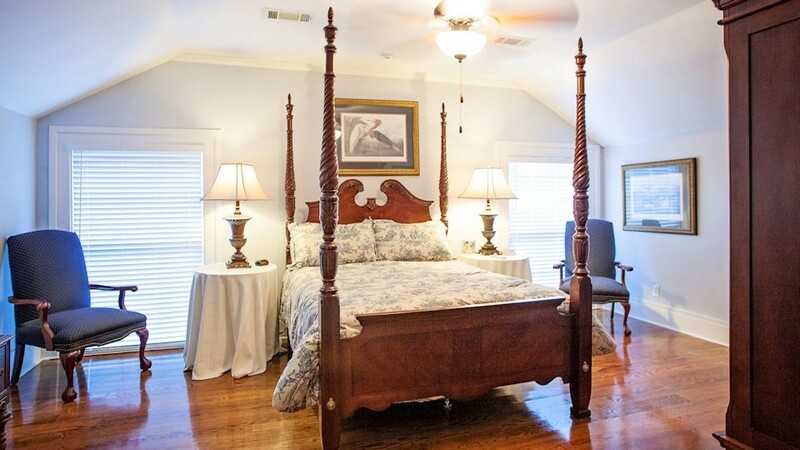 Named in honor of writer Kate Chopin, a former Natchitoches Parish resident who was the author of The Awakening. 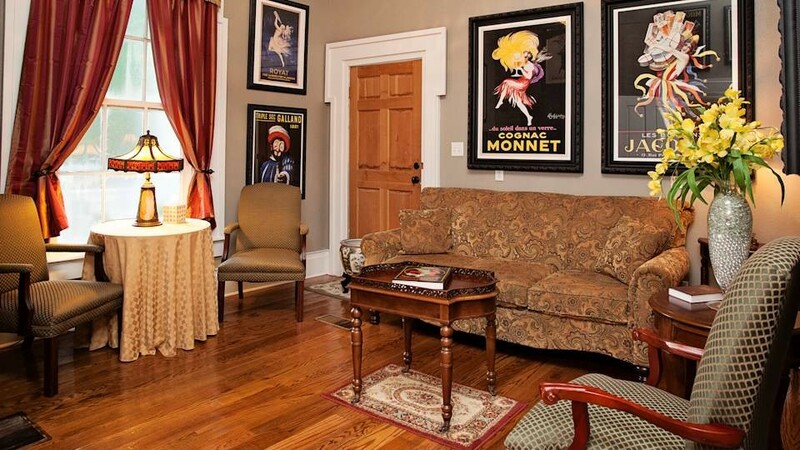 Throughout the suite and bedroom are more than a dozen reproduction prints by twentieth century Italian artist, Leonetto Cappiello, considered the father of modern advertising due to this innovation in poster design. Relax in this sunny bedroom painted olympus white. The room contains an armoire, desk and dresser with sitting areas. 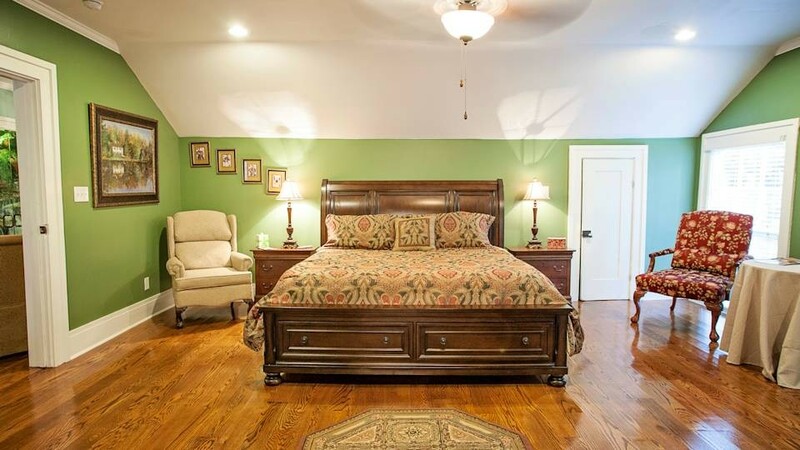 Romance abounds in the grand Willow Plantation room that is painted artichoke. It features a sitting area with red ball and claw Martha Washington chairs which are perfect for reading or enjoying early morning coffee. 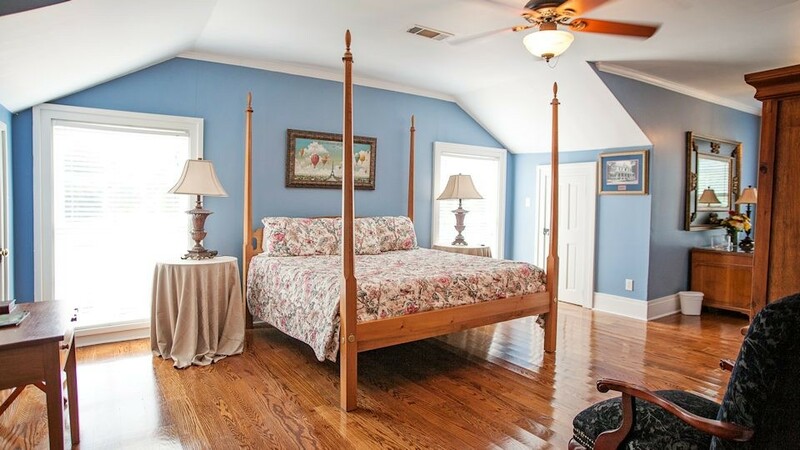 This very spacious upstairs room is painted historic blue and contains a custom-made cypress king size bed matching nightstands and an armoire created by renowned Master craftsman George Olivier, a Natchitoches native. 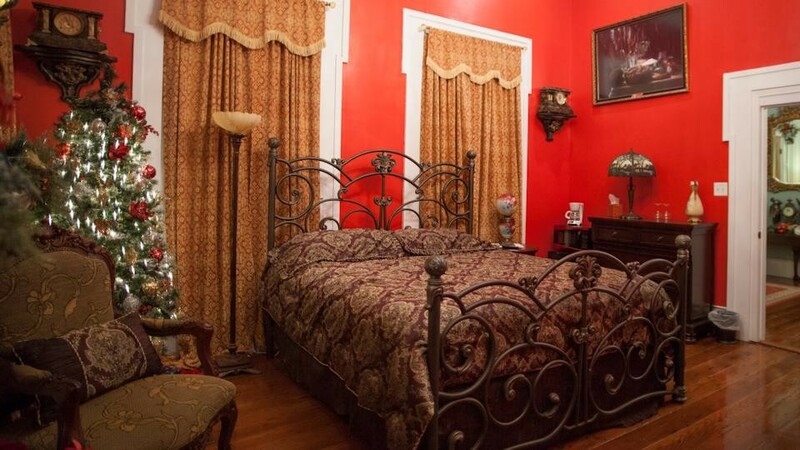 Painted gypsy red, this room contains an iron post, king size bed, a crystal chandelier, an Althorp writing desk, and an eight foot mirror where Pierre, our favorite Peacock, sits admiring himself on the fireplace mantle. 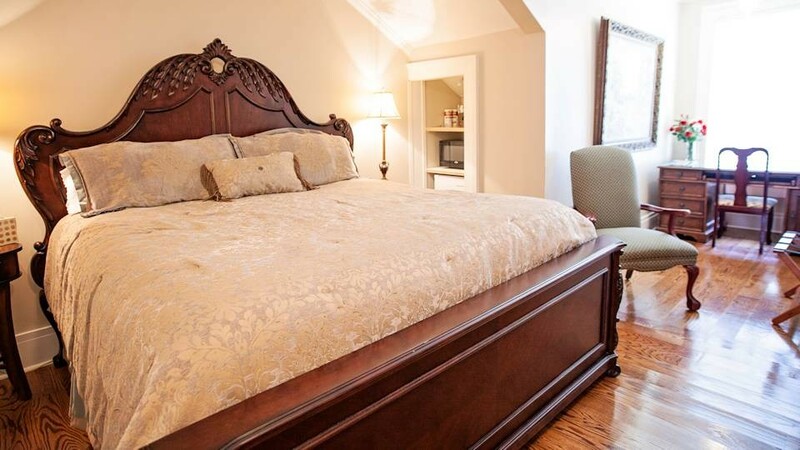 Painted accessible beige, the St. Maurice Room room contains a king size bed, table top desk, armoire and sitting area. This room overlooks the American Cemetery, the oldest cemetery in the Louisiana Purchase.